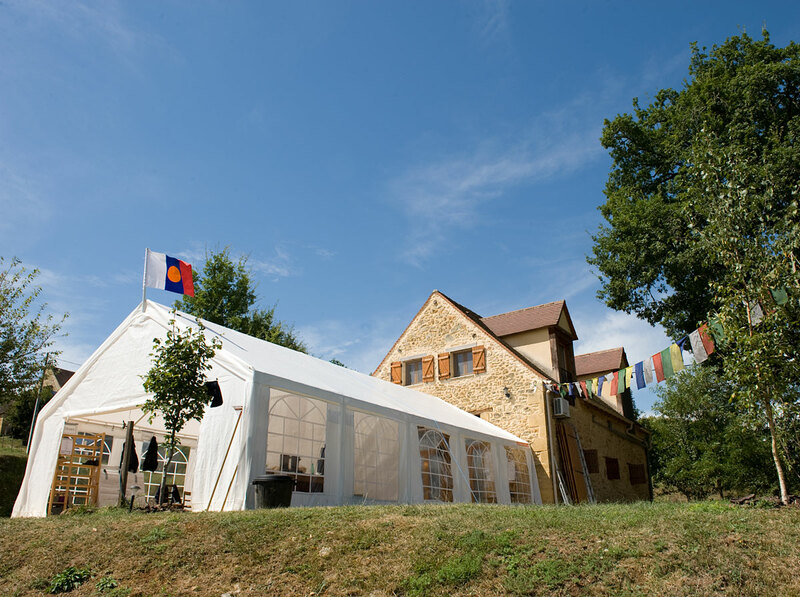 The last two weeks of August saw the annual teaching programme at Sakya Changlochen Ling in France take place. The first week of the programme saw Lama Jampa Thaye bestow the initiation of Green Tara and lead sangha members in daily practice sessions of the deity. The second week saw Lama Jampa Thaye bestow the initiation of Vajrapani Bhutadamara, together with the tri composed by the famed Sakya master Zhuchen Tsultrim Rinchen. Lama Jampa Thaye subsequently led several practice sessions of the sadhana. During the course of the two weeks, an appeal was launched to raise funds for the next stage of the development of Sakya Changlochen Ling. Please visit this link for further information.